With plenty of events today alone, you’re sure to find something unique and fun to do in honor of St. Valentine. Make sure to stop by Union Square at noon to celebrate the launch of the SF Service route for BlackJet, produced by yours truly, ABCey! If you’re too busy to celebrate with your sweetheart today, fear not! Attend one of these super fun events and you’re sure to make up for it. No sweetheart? Don’t let that stop you from spreading the love! We’ve got plenty of ideas to fill your weekend with exciting events to attend with friends. HAPPY VALENTINE’S DAY! 1. Swinging Valentine’s, Burlesque & Live Music | February 14 | 5pm | 50 Mason Social House | Join 50 Mason Social House on Valentine’s Day for free Swing Dance Lessons from 5-7pm by the Bay Area Swing Allstars, followed by live Burlesque Performances by Hunny Bunny & Her Hot Toddies at 8pm. They’ll be rounding off the night with a live performance by house favorites Eggplant Casino. No cover charge all night long. 2. Vestivus For The Rest Of Us: $5 Comedy & Music Variety Show | February 14 | 7pm| Red Devil Lounge, SF | W*A*S*H* is an experimental weekly variety show at the Red Devil Lounge which promises to blur the line between performers and audience. The night features stand up comedy from Joe Gorman, Mike Spiegelman & Natasha Muse plus Musical Guest, John Murry and a Valentine Swap hosted by BetaDater. 3. Viva Amore! Viva Wine! 2013 | February 15 | 6pm | Rock Wall Wine Company, Alameda | Grab your loved ones and join the Rock Wall Wine Company for a celebration of wine, amore and life! They’re turning the cellar into a land of romance, filled with beautiful wines, yummy treats, rockin’ music and lots of East Bay Love! 4. 4th Annual Chocolate and Beer Festival | February 16 | 12pm | The Craneway Pavilion, Richmond | Do you like chocolate? Do you like beer? Embark on a gourmet adventure at the Chocolate and Beer Festival at Craneway Pavilion at the Richmond Marina. 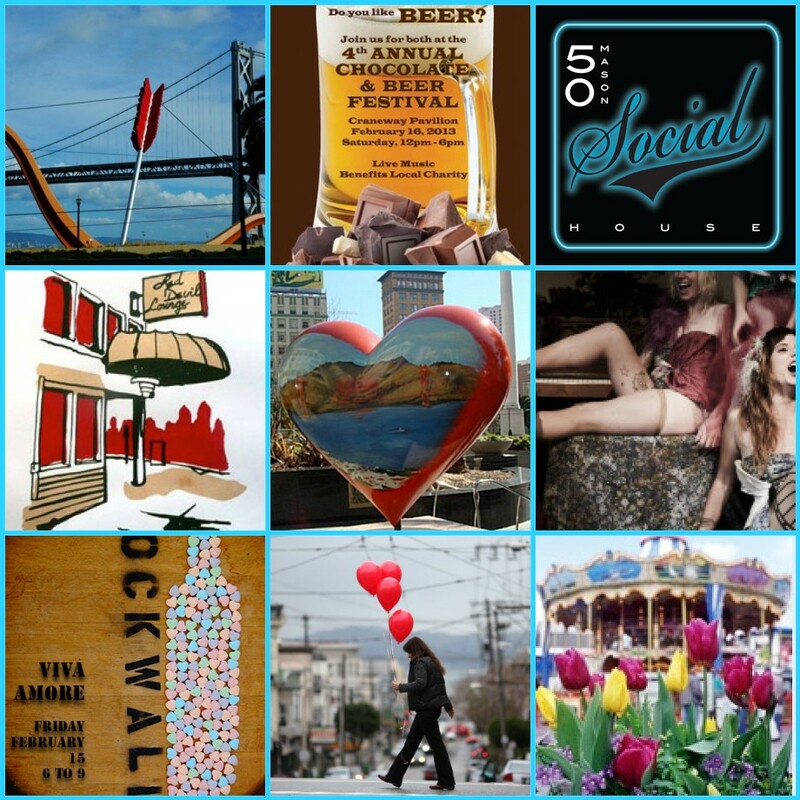 Sample local craft brews and chocolates from the Bay Area’s finest chocolatiers. 5. Tulipmania 2013 Opening Day | February 17 | 10am | Pier 39 | Pier 39 comes alive with the vibrant colors of thousands of blooming tulips and seasonal garden favorites throughout both levels of Pier 39. Enjoy daily free, guided landscaping tours beginning at 10 a.m. in Pier 39′s Entrance Plaza. Make sure to bring your cameras to capture what’s blooming. There’s something for everyone in this lineup! Which events will you attend? Let us know in the comments below or on Facebook & Twitter. See you this afternoon at Union Square! Every year, we spend a whopping $17.6 billion dollars on Valentine’s Day. How lucky for Hallmark! ABCey has compiled a list of the most useful V-Day related apps, whether you’re celebrating or single. We hope you ♥ them! 1. Helpful Romantic: Maybe you’re finding yourself a little unprepared, and maybe this app can (definitely) help you. It has last-minute date ideas and suggestions based on your significant others personality. You can even store highlights of your relationship so you never forget! 2. Valentine’s Day Special: This app is chalk-full of V-Day poems, ways to say I love you, love poems, and even the best love making songs (not so sure about this one). 3. 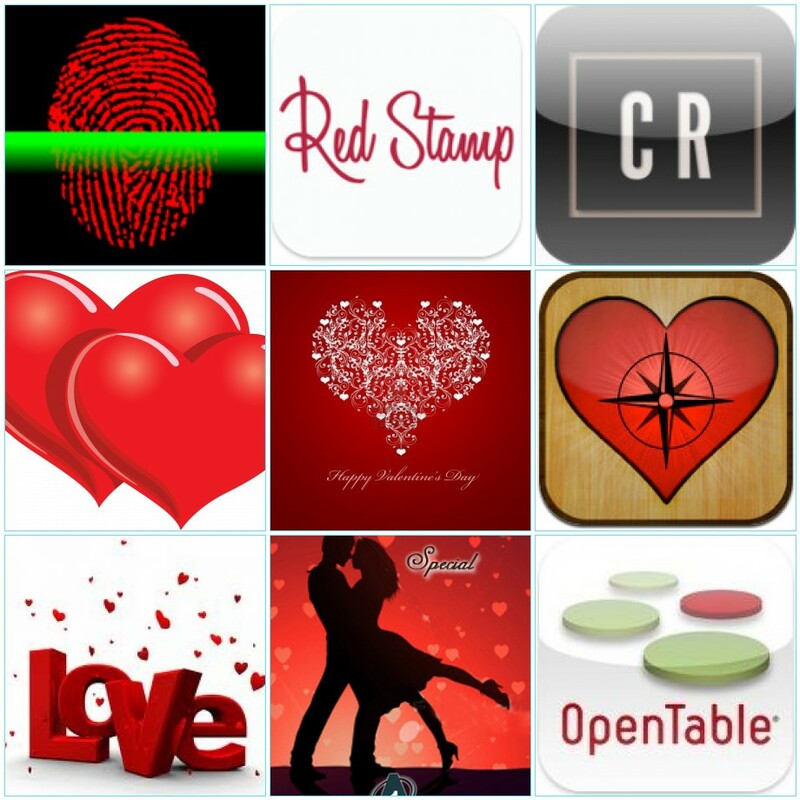 Red Stamp: Skip those lame cards this year and send a personalized e-card to your loved one via e-mail or text! You can even go for the snail-mail route for a small charge. 4. Crowded Room: Single this Valentine’s Day? This app is perfect to help you find a special someone. Check in where you are, and where you’re headed that night, and the app will help you meet people with similar interests! Good thing it works for the other 364 days of the year, too! 5. OpenTable: Haven’t made a reservation yet? Fear not, this app will allow you to see what is still available in their database of over 15,000 restaurants across the US, Canada and UK! Keep using the app and earn dining cheques: good at any OpenTable restaurant. 6. Love Scan: Try this super corny app with your loved one for a love match percentage and a laugh (all based on a fingerprint scan). Let us know which apps you like best and what your plans are for this Valentine’s Day. Leave us a comment below or find us on Facebook & Twitter.